The Charlotte Stone Crabs fell to the Bradenton Marauders 5-2 on Thursday night at Charlotte Sports Park. Bradenton took the lead in the first inning. Jose De Los Santos drew a walk to lead off the inning. Robbie Grossman singled and Eric Fryer was hit by a pitch to load the bases. Calvin Anderson drove home two runs with a single to right, giving them a 2-0 lead. The Stone Crabs cut the lead in half in the fourth inning. Shawn O'Malley and Tim Beckham led off the inning with back to back singles. Then a walk to Greg Sexton loaded the bases. Stephen Vogt plated a run with a sac fly to pull the Stone Crabs to within a run of the lead 2-1. The Stone Crabs tied the game in the fifth inning. Anthony Scelfo delivered a one out double to put a runner on the bases. Scelfo then scored on an RBI single by Isaias Velasquez to tie the game 2-2. The game remained tied until the top of the sixth inning. Bradenton strung together three one run innings to separate themselves from the Stone Crabs. In the sixth, James Skelton drove home Austin McClune to score the go ahead run. Then in the seventh, Anderson knocked home an insurance run on a sac fly that scored Grossman. Finally in the eighth, an RBI double by De Los Santos gave the Marauders the 5-2 margin of victory. Shane Dyer suffered the loss, pitching 6 1/3 innings and allowing 4 runs on 5 hits with 4 strikeouts and 2 walks. Marquis Fleming pitched 1 2/3 innings and allowed an unearned run on 3 hits with 2 strikeouts and a walk. 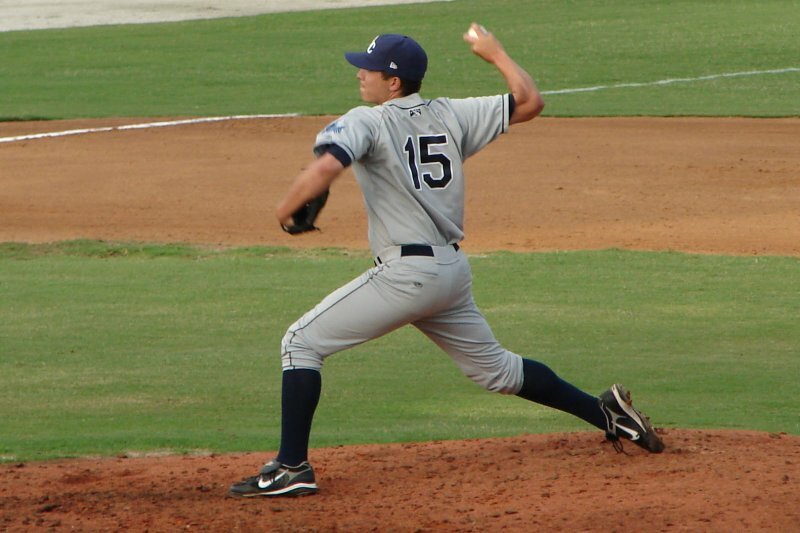 Justin Garcia made his 2010 Stone Crabs debut, pitching a perfect ninth frame, striking out two of the three hitters he faced. The series against the Marauders continues on Friday night at Charlotte Sports Park. Matt Moore (3-8, 4.97) will make the start against Brian Leach (3-4, 4.14).